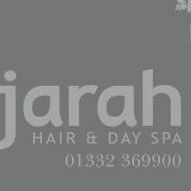 At Jarah we offer a wide variety of hair, beauty and day spa treatments. All under the one roof, in a spacious relaxed environment, adding to that fabulous customer service and you will feel right at home. With highly trained staff, in all facets of the hair and beauty industry. We believe by making you feel good on the inside, will reflect what we do on the outside. So why not come and visit our “Sanctuary in the City” and come see for yourself.